Soft and chewy on the inside with a crisp, golden brown crust, this Original Bagel 4.5 oz. 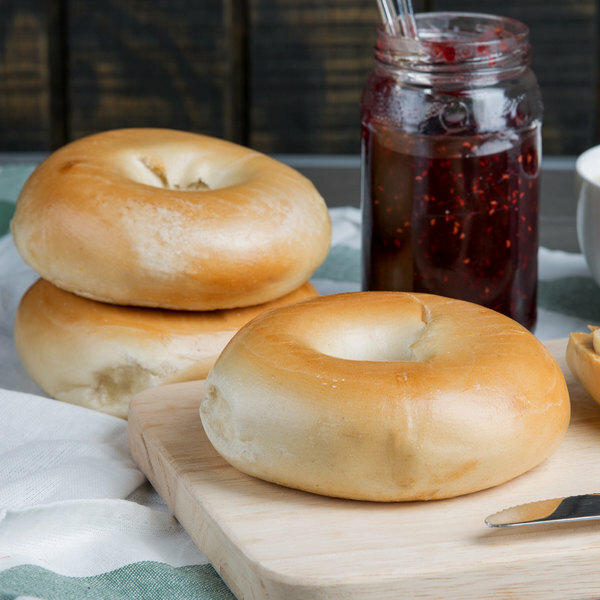 plain bagel is the perfect addition to your breakfast menu! 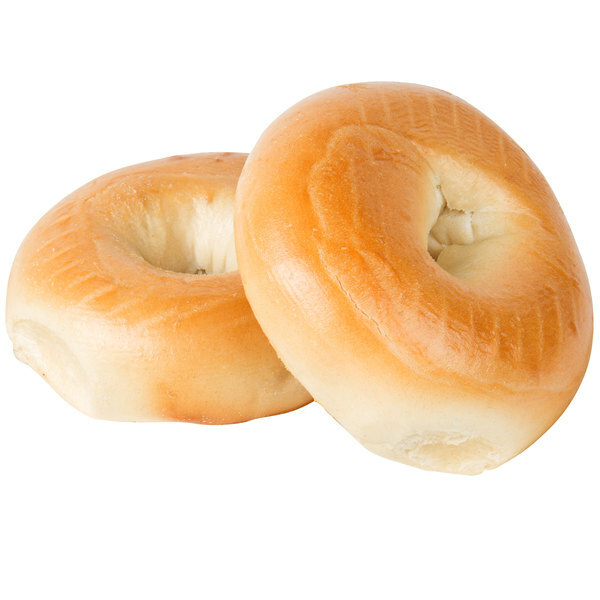 Perfect for your restaurant, diner, or coffee shop, this plain bagel provides a fresh-baked flavor that your customers won't be able to resist. Whether it's spread with your customers' favorite condiments for an open-faced snack or piled high with traditional sandwich fixings, this bagel is a versatile base to a variety of toppings. Slather it with strawberry jam and creamy peanut butter for a twist on a peanut butter and jelly sandwich, top it with cream cheese and smoked salmon for a traditional brunch treat, or serve it as a classic bacon, egg, and cheese sandwich. It can also be layered with smoky bacon, lettuce, and fresh tomato slices for a delicious spin on a BLT sandwich. Made from scratch with premium ingredients, this bagel is par-baked and frozen to preserve its freshness. Prior to baking, the dough is given a 12-hour fermentation period, giving it ample time to develop the best possible flavor. The bagel is then kettle boiled and hearth baked to provide the authentic, New York style taste your guests know and love. To heat, simply place the frozen bagel on a sheet pan and bake at 400 degrees Fahrenheit for 9 minutes, let it sit for 20 minutes, and serve! Since it's easy to prepare, this bagel helps save you valuable time in the kitchen and minimizes your guests' wait time without sacrificing on quality or flavor. 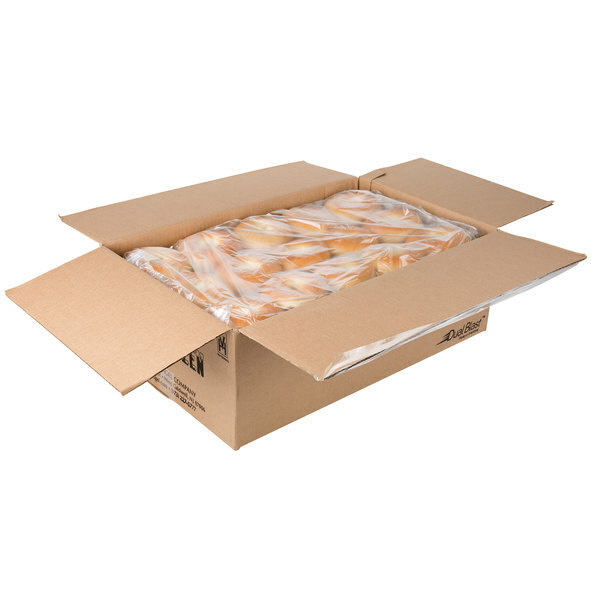 Your customers are sure to love the freshly baked taste of this plain bagel! 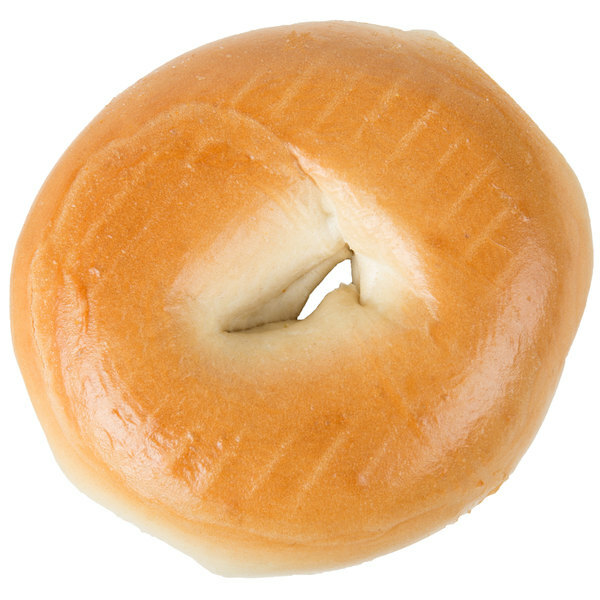 The first time I ever tasted a bagel, it was on a street corner in NYC. I thought I had bitten into a little piece of heaven. And, this original New York Style Bagel brings back that lovely memory. With a smear of cream cheese, topped with jam, or just all by itself, this tasty, toasty treat will make you feel warm all over.